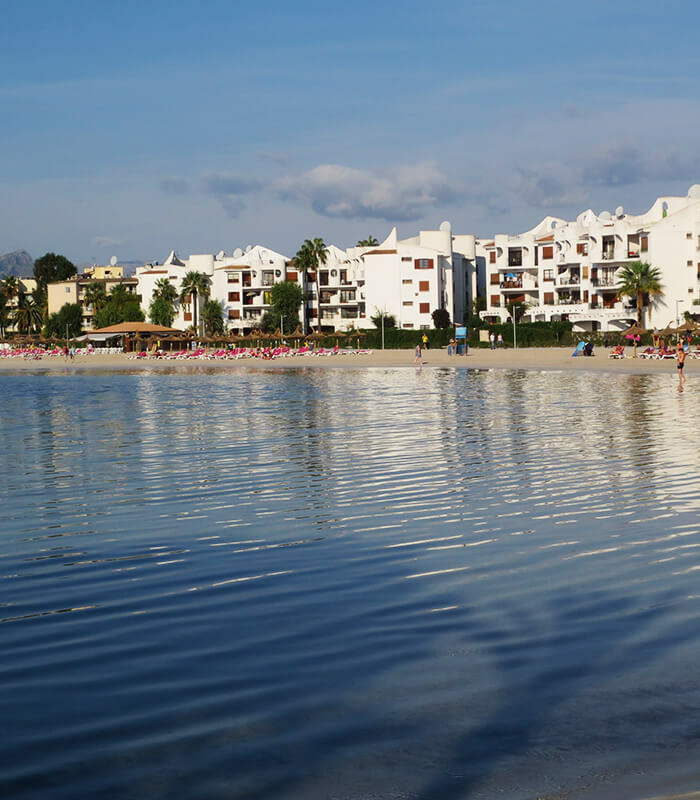 The privately owned Apartamentos Carabela face directly on to Alcudia beach close to the marina in Port d’Alcudia, Majorca. They are ideally situated for a family holiday. 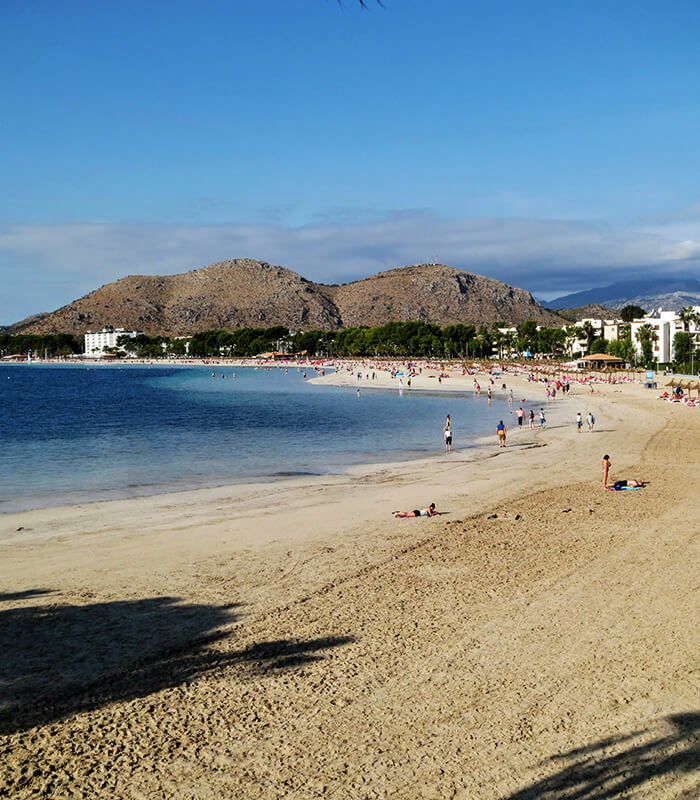 The site describes my Carabela beachside apartment and the town of Alcudia, as well as providing links to other useful sites giving information on the locality and the beautiful island of Majorca. We chose to stay in the Carabela Apartments. We have to say we were very pleased with our choice. You couldn't get any closer to the beach in fact. 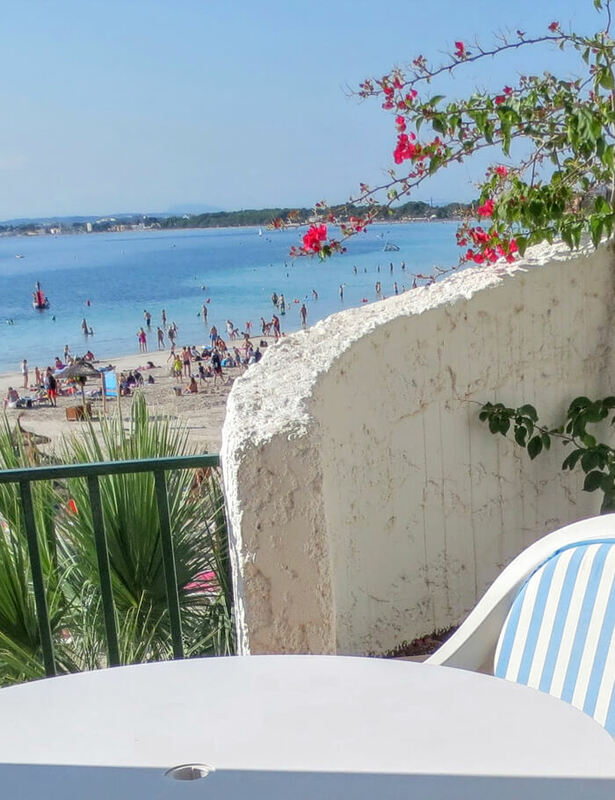 The apartment has a balcony that looks directly onto the sandy beach, which is a lovely place to be at night with a glass of wine before you retire to bed. We had 3 teenage daughters holidaying with us. The bedrooms were very clean, with ample bed linen and wardrobe space, and most importantly, air conditioning. The kitchen at the back of the apartment was very well equipped and modern, with every possible convenience supplied, including washing machine, microwave and large fridge freezer. We had great wi-fi so the kids were happy. You really get the feel that this is a family home rather than just a rented apartment. The pool at the complex was clean and well maintained. The port town area is very clean, quiet and safe, and is only a 3 minute walk. All in all the Carabela is private, safe and clean, and is in an ideal location. 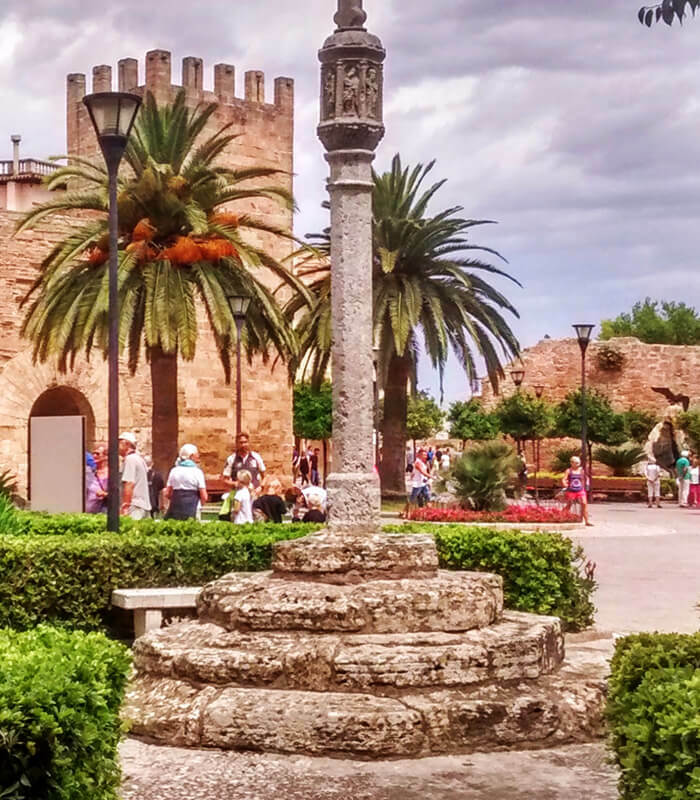 "We chose this apartment for our first family holiday abroad and have come back every year since! Our children look forward to seeing what's in the bucket and spade cupboard, such a simple thing to include but it's made a huge impact." 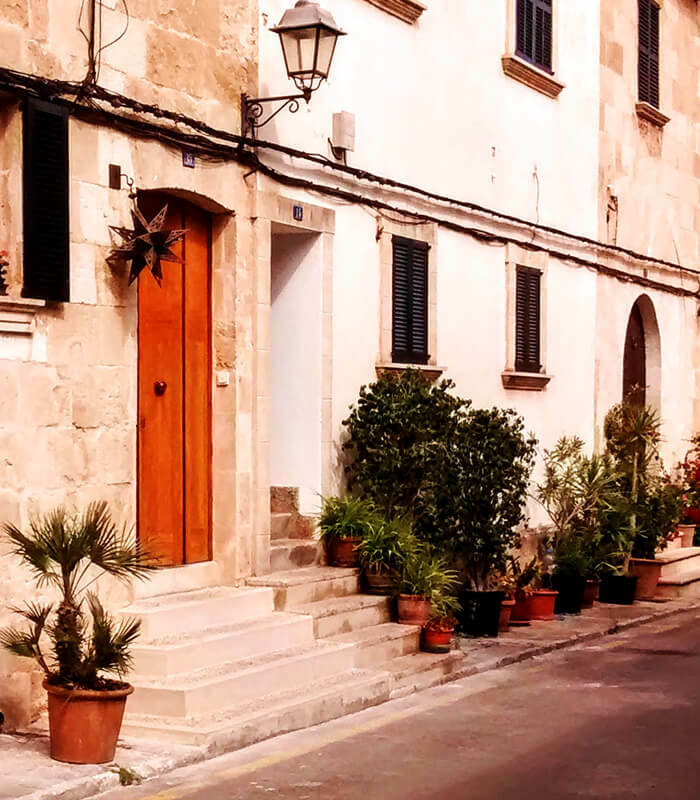 Carabela apartments Alcudia - what can I say. Well - we've been coming here to the same brilliant apartment for the past nine years. 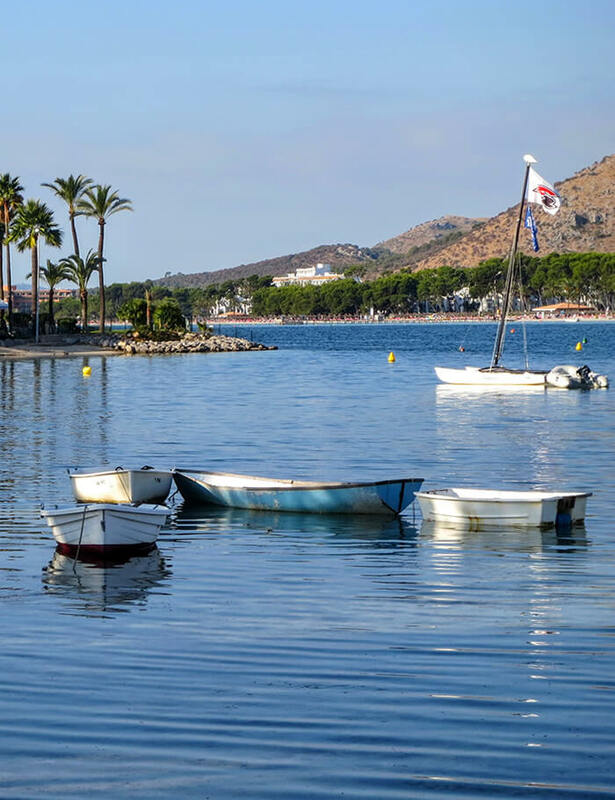 It is situated in the most wonderful position - right on the beach with stunning views over the bay of Alcudia with its long, gently sloping sands and warm waters. The apartment is beautifully furnished with two good bedrooms and huge bathroom, large kitchen and living/dining room. It is just wonderful to sit on the balcony any time of day but particularly early morning and evening and watch the sun rise/set over the ocean. Just love, love this place. Cannot wait for next year. My husband and I stayed at Carabela in August of this year 2016 . We had a fab holiday . The apartment is in a perfect location overlooking the beach . Lovely apartment and fantastic view . 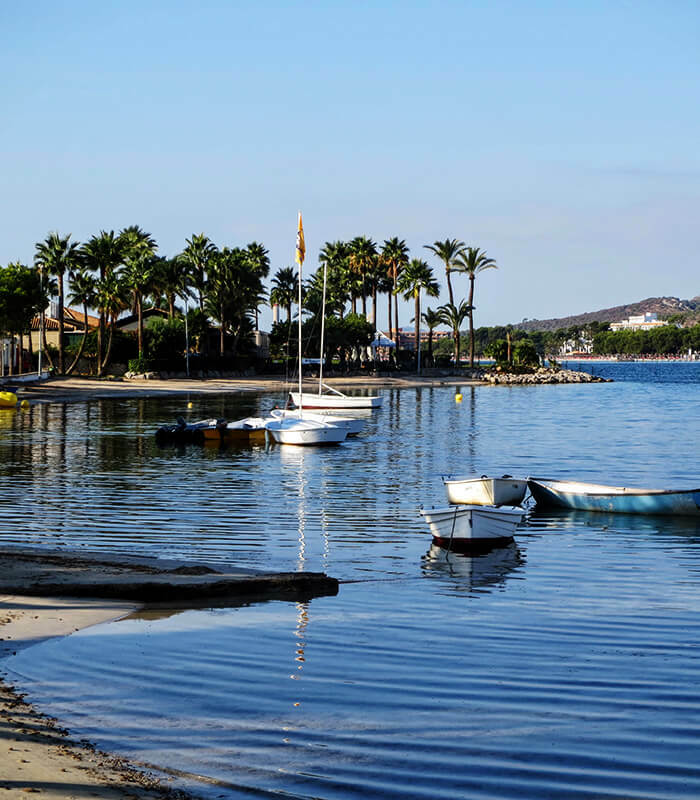 Just a few steps away and you are on the lovely beach . Warm clear waters . Great for families . Lots of eating places to choose from all within walking distance . This is the second time we have stayed at the Carabela and wont be the last.